Excellent quality and incomparable price are EPRUI’s trump card over other competitors. 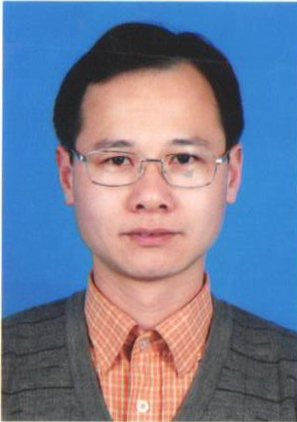 Dr. Yangchengli, CTO and co-founder of EPRUI, graduated as one of top5 PhD students from Institute of Process Engineering in 2005, Chinese Academy of Science, which is the top academic institute in China and once was employed as professor in Peking University teaching chromatographic analysis. Achieved his Post Doctor degree in Georgetown University, which is the Ivy Plus University in the USA. Leading by Dr. Yang, a group of world class scientists in making size controllable monodisperse mcirospheres. EPRUI is able to give the best support to our customers in the industry of chromatographic analysis and separation, fluorescence labeling, biological immunoassay, biological immunodetection, LCD display. EPRUI Biotech has a complete set of high performance liquid chromatographic packings, including positive phase, reverse phase, ion exchange, size exclusion, hydrophobic interaction and affinity chromatography packing. The matrix are composed of silica gel, crosslinked polystyrene and poly methyl acrylate, which are performance complementary. EPRUI also gather rich experience in chromatographic separation due to research and exploration in chromatography industry for so many years. Equipped with the most advanced HPLC instrument, EPRUI can help our customers develop an overall solution for separation and purification of natural and biological products in a fast and economical way. A. Help customers to develop purification and separation method for extracting effective ingredients from traditional Chinese medicines and plants. The full set of solutions cover from experiment batch, pilot batch to commercial batch. C. Help customers to develop methods for polysaccharide separation and purification. Success stories: such as Dagan, Kwai sulfonyl sodium; fullerene etc. The professional technical team will help you out when meet problems during chromatographic analysis and purification.